Do You Have to Let the Police Search Your Car If They Ask? In most cases, police officers are required to have a search warrant in order to search your vehicle; however, during a traffic stop, an officer is only required to possess probable cause to legally search your car. An experienced criminal defense attorney can tell you that probable cause simply means the officer must have sufficient evidence to believe that you are involved in criminal activity. An officer cannot search your car simply because they have a hunch you are up to something. There are some exceptions to the search warrant requirement that enable police officers to search your vehicle. 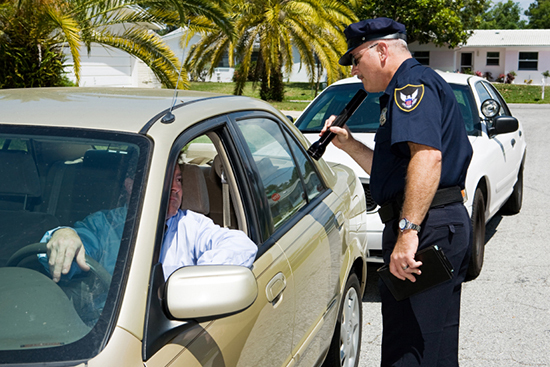 If you are arrested for a criminal offense while driving, the car can be searched incident to arrest. If the vehicle is impounded, it can be searched so there is an inventory of the vehicle. If an item of contraband is in plain view, the officer is allowed to go into your vehicle and seize it. At the border, if you are coming into the United States by driving a vehicle, that car is always subject to search. First and foremost, it is imperative to remember that, if you are stopped by a police officer, remain cool and calm. If the officer chooses to detain you and requests to search your vehicle, you have the legal right to refuse consent to the search. You should clearly and verbally refuse; however, you should never, never physically resist an officer. Even a simple touch on the officer’s shoulder or arm provides them with enough justification to Taser you, beat you, and arrest you. You could be charged with a felony for assaulting a police officer. Many of my clients keep my business card or telephone number in their wallet or smartphone just in case they need it. While you have the legal right to refuse to allow a police officer to search your automobile, police officers are not required to inform you of this right. Unfortunately, it is not uncommon for officers to use their authority in an attempt to make you feel obligated to prove your innocence. For example, they may ask you questions like, “What are you trying to hide?” Don’t fall for these tricks. Calmly and firmly repeat your refusal. You should also be aware that any admissions that you make can be used against you, and may be a basis to ultimately search your car. Silence is different from lying. Lying to a police officer is a criminal offense that will lead to a prosecution, and may be the basis for the search of our vehicle. If an officer does search your car and finds illegal contraband despite your refusal, your defense attorney may be able to file a motion to suppress evidence, which means that the evidence will be classified as inadmissible in a court of law. If the evidence is suppressed, in most instances the case is dismissed. Unless your prosecutor has additional evidence, your charges will be dropped. If you have found yourself in this situation, you need to contact Hilf & Hilf, PLC immediately. Our experienced criminal defense attorneys will ensure that your legal rights are protected and will work closely with you to achieve the best possible outcome for your case. Contact us today to schedule a consultation!